One insurer's retreat from the Iowa individual insurance marketplace has prompted a domino effect, as Aetna said Thursday that it will stop selling individual policies both on and off the state's Affordable Care Act exchange next year. The decision follows on the heels of Wellmark Blue Cross and Blue Shield's announcement that it will exit Iowa's individual market in 2018. Now thousands of Iowans will be forced to switch health insurers—if they can find one. 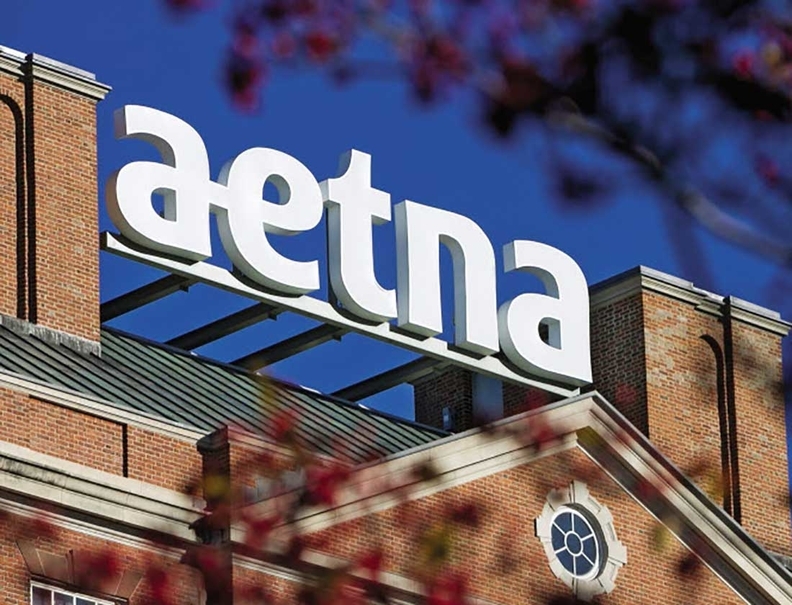 An Aetna spokesman said the decision is a result of “financial risk and an uncertain outlook for the marketplace.” The Hartford, Conn.-based insurer is still deciding whether to keep selling exchange plans in its remaining states, which include Delaware, Virginia and Nebraska, he said. With Wellmark and Aetna both exiting, five Iowa counties could be left with just two health insurers—Medica and Gundersen—selling policies, said Cynthia Cox, an associate director at the Kaiser Family Foundation. The rest of the state's 99 counties would have just one health insurer: Medica. A spokeswoman for Gundersen Health Plan said it plans to participate in the Iowa marketplace next year. But it's unclear if Medica will stick with the exchanges. Earlier this week, the Minnetonka, Minn.-based insurer said it “needs to carefully consider its options” in light of Wellmark's announcement. Medica said Thursday that it is still evaluating its next steps. If Medica calls it quits, many Iowans will have no insurance options comes 2018. That's an unprecedented situation with no clear fix. With a number of regulatory unknowns and no clear sign that the federal government will continue to support the individual marketplace, experts say other states could soon see an insurer exodus as well. “We're deeply troubled by the angst and concern the Affordable Care Act is causing in Iowa," Iowa Insurance Commissioner Doug Ommen said in a statement. "This is a problem created by the Affordable Care Act and needs to be fixed by Congress." For months, health insurers have threatened to quit offering policies on the ACA's marketplace if they don't get the regulatory details they need to design and price their insurance plans. Insurers have warned Congressional leaders that they need to see signs that the Trump administration will work to stabilize the individual market if they are to commit to selling plans in 2018. Many insurers have lost money selling marketplace plans. That's in part because the exchanges have enrolled a lot of older, sicker members with high medical costs and they've struggled to attract young, healthy members to balance out those costs. At the same time, some states like Iowa have allowed consumers to keep the plans they had before the Affordable Care Act was enacted. These transitional health plans are not compliant with the healthcare law. Critics say the plans hurt efforts to stabilize the individual market and moderate rate hikes by letting healthier people stay in plans outside the ACA-regulated insurance pool. It is unclear if insurers will get the details they need to commit to the exchanges for 2018. In most states, they have until June 21 to decide whether to participate. But the Trump administration has yet to address insurers' most pressing concerns about availability of cost-sharing reductions and the enforcement of the mandate that consumers purchase coverage. Those two policies are essential to ensure the individual market stays afloat and affordable during the transition period to an ACA replacement plan. Iowa's situation is an example of what may happen across the nation if insurers don't get answers soon. About 51,600 people enrolled in Iowa's insurance marketplace during this year's open enrollment that ended Jan. 31, CMS data shows. Wellmark's exit affects about 21,400 people—a little more than 1% of the insurer's membership in Iowa. Wellmark said it lost about $90 million from ACA-compliant health plans sold in Iowa over the past three years. That's not a small sum. But it is a drop in a bucket relative to the $2.7 billion in revenue Wellmark recorded in 2016 alone, financial documents show. Given the minor loss, it is likely that Wellmark's exit has more to do with the uncertainty surrounding the future of the health insurance landscape and the prospect of further financial losses if the Trump administration fails to shore up the marketplaces, experts said. Aetna doesn't break out its ACA enrollment figures by state and did not say how many people its retreat would affect. But because both Aetna and Wellmark are pulling the plug on both on- and off-exchange individual plans, the consequences extend beyond dwindling choice on the ACA federal marketplace. “It's not clear how many options people may have even if they are able to pay full price and buy off exchange,” Cox said. Medica serves about 14,000 members both on and off the exchanges in Iowa. Gundersen is a minor presence on the state's exchange.